Serving Los Angeles, we fabricate stainless steel countertops, railings, hand rails, islands, cabinets, tables, benches…and anything else you can dream up! We feature many ready-to-build items for home and commercial use. How Do Steel Fabricators Work? Stainless steel becomes very strong after fabrication. 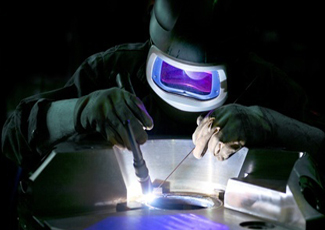 There are many steps involved in the steel fabrication process. The steel is made tough by deforming it. The harder the steel becomes the tough shape it takes. The price of the steel goes on increasing with every stage of hardening. 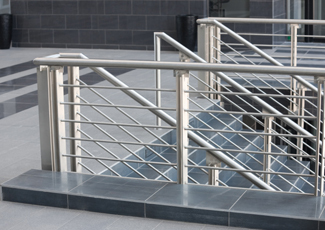 We offer the best Stainless Steel Fabrication Los Angeles as we do fabrication of railings, benches, counter tops, cabinets and many more. These items can be used both in the home or commercial purposes. Stainless steel tables are very useful and find its ways in homes and offices, too. The main reason for which the stainless steel table is preferred over wood by customers is their durability. You can get stainless steel tables of various sizes and shape in the market and you can buy as per your need. The steel fabrication tables we make are of very good quality because we do fabrication of steel making it stronger. We also make custom made tables exactly as per your need and specification. The demand for metal fabrication countertops is increasing in the market because of various reasons. Since we make the countertops from the steel after fabrication, the finished products are very much durable and last for many years. Moreover, the looks are quite elegant and match with all types of modern kitchen decoration. We at Los Angeles Metal Fabrication can make customized stainless steel as per your need, size and budget. Our products can be used both for industrial and residential purposes and the price we offer is quite affordable. If you are planning for a kitchen makeover then bringing stainless steel to your kitchen can offer you several ergonomic advantages. The reason why our stainless steel islands are so popular in modern kitchen is because it’s very easy to clean and maintain and made from steel fabrication. If you can handle it carefully to keep the scratches out, they can offer metallic shine for a long, long time. Here we offer stainless steel islands fabrications for kitchen decoration that offer refined finishes and immaculate sparkle with long lasting body that stays for years. 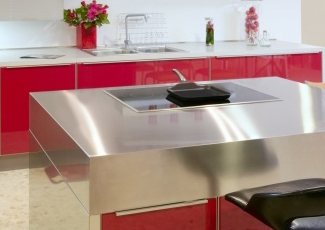 To add efficiency to your kitchen you may add a stainless steel bench. It not only helps you to maintain hygiene but also makes cooking a whole lot easier. 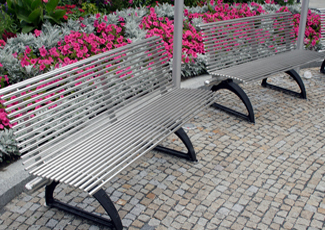 These stainless steel benches are heat proof and corrosion free. Besides stainless steel kitchen benches, we are also a fabricator of sturdy long lasting stainless steel work benches as well as the sitting bench. You can ask for different types of finishes for your steel benches including polished, patterns, brushed, and perforated. 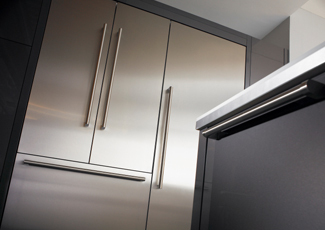 We work with both residential and commercial clients to create stainless steel products. 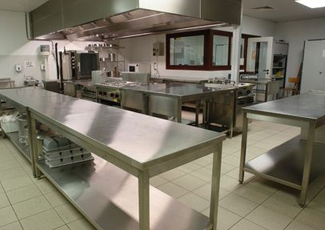 There are an array of advantages of using stainless steel products in preparing food and beverages. One of the best advantages you get using stainless steel is it is corrosion free. Moreover, these products are heat resistant and the durability of stainless steel products is another most attractive property. Stainless steel is also neutral and safe to food items, which is why most professionals who are working in food industries prefer using stainless steel products. We have satisfied thousands of our clients by offering them customized stainless steel solutions according to their needs and requirements. If you are interested in buying any of our stainless steel products made out of steel metal, you can call at our office and speak to any one of our experts. One of our fabrication Los Angeles experts will visit your place to understand your need, specifications, and budget. After analyzing your needs, we will give you a steel fabrication quote on the same day. We will start the work after your approval and see that the work is finished in the fastest possible time. Call us for more details. Your local experts for anything and everything made from stainless steel. 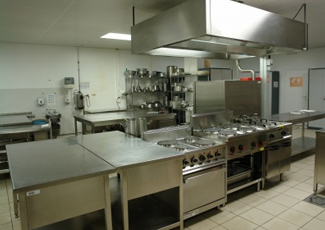 From tables, cabinets, and railings, to custom stainless fabrication and complete commercial kitchen installations – we can do it all!